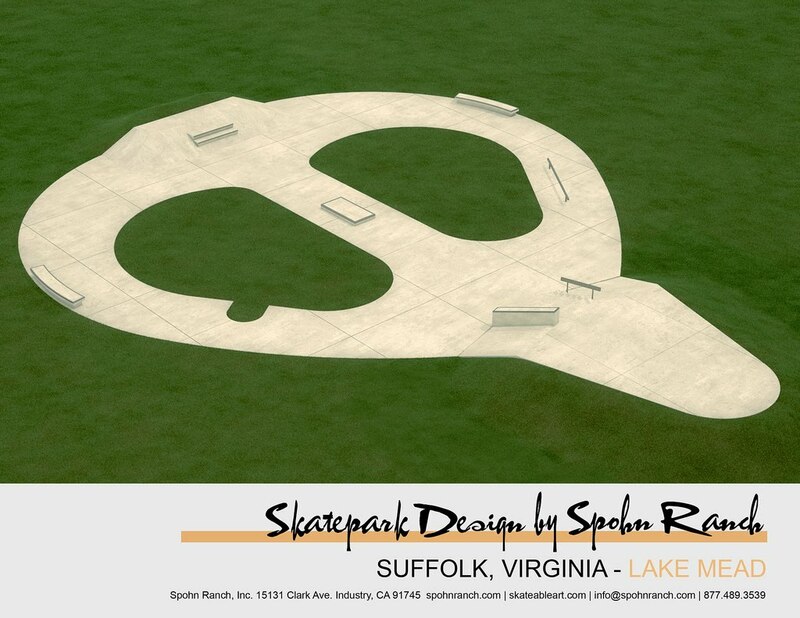 After some process drama, the two new Suffolk skatepark designs are here from Spohn Ranch. 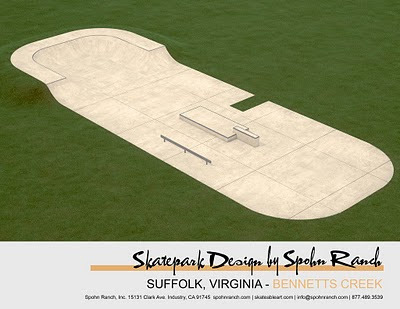 Suffolk was working with a small budget and wanted two parks. Originally one was going to be a bowl, but budget and site constraints kept that from happening. Personally I am stoked on these parks. No fences, no monitors or passes. No giant vert walls. Just fun stuff to skate. I'd like to see other cities building more smaller parks instead of one giant park. What do you guys think? Looks awesome! I love the idea, however I am unclear on how many parks there are going to be? There are three designs here? Also, the top one probably could use a little more with that space...it's basically one ledge and one rail other than the transitions no? weird...I love the flat gaps idea though, and the stairs and hubbas look cool with all that space around them, not being cramped etc. There will be two parks. The bottom two designs are just different views of the same park. OHHHHH,, hahahaha, duh. Man, that was bad! I want something like that in my town. I can’t wait!!!! Now I never have to leave Suffolk!!! I showed the Lake Meade design to my girlfriend and she said it looks like an alien’s face. Now that’s all I can see. 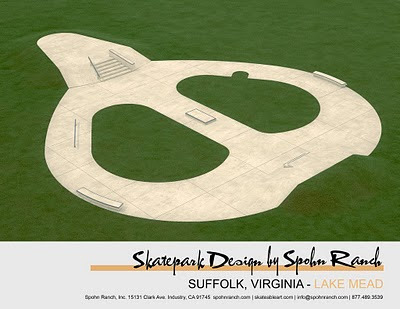 These parks should be done just in time for when Northside closes up for the winter. the bottom park most def. is better than the first.... love mike d.